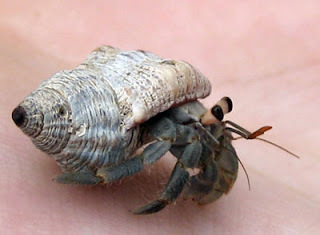 True Wild Life | Hermit Crab | The hermit crab is a small sized crustacean, that is found in ocean waters worldwide.Despite its snail-like appearance the hermit crab is related to crabs, although they are not that closely related as the hermit crab is not a true crab. 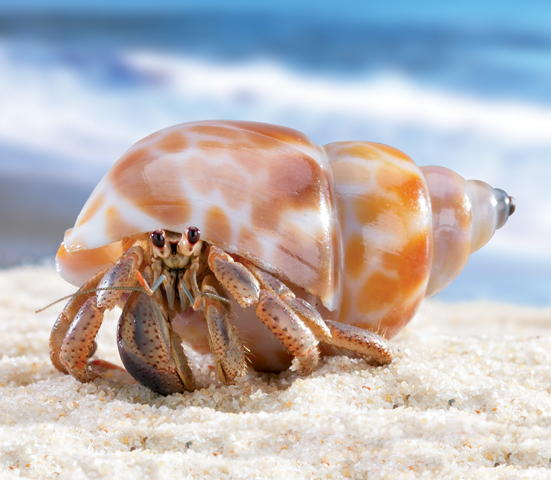 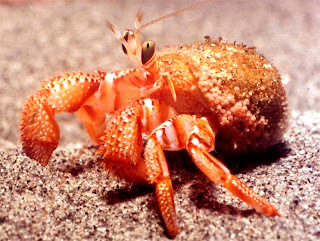 There are more than 500 different species of hermit crab found in marine habitats all around the world. 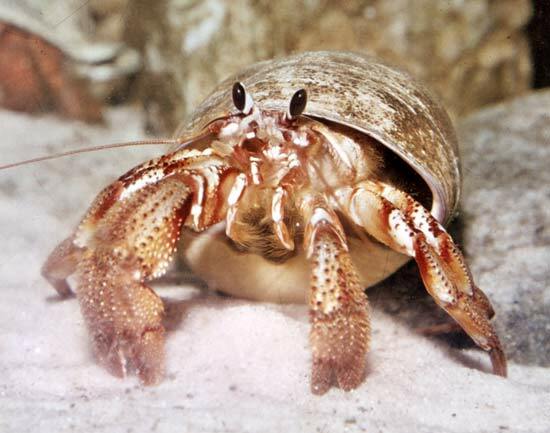 Although hermit crabs do venture into deeper waters,they are more commonly found in coastal waters where there is more food and places to hide.